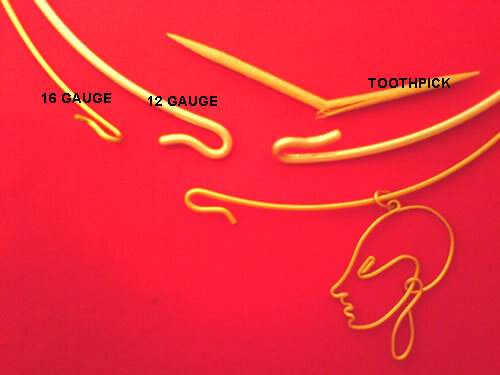 with a hook clasp, according to your size and specification. 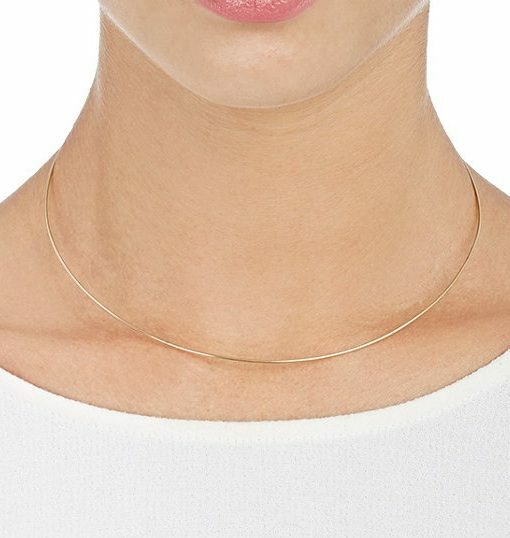 The choker length is without hook closure. 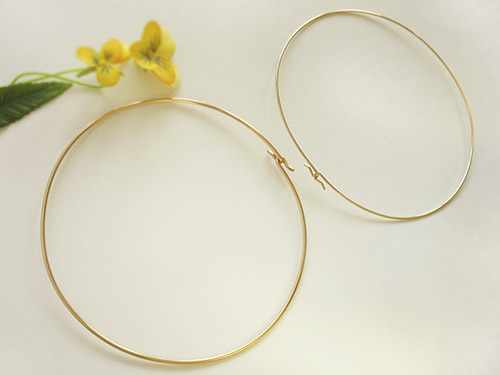 For example, the choker 16″ size is actual circumference length 16″ . All sizes from Petite to Plus size. 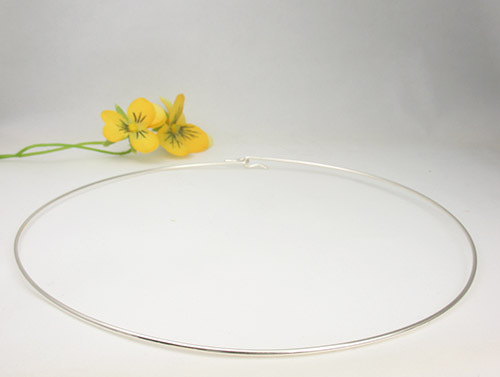 If you would like a choker with thicker wire, for hanging the heavy/big pendant, visit our Choker-12gauge selection. All sizes from Women’s Petite to Women’s Plus size. 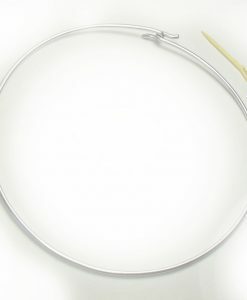 with a hook clasp, according to your size and specification. 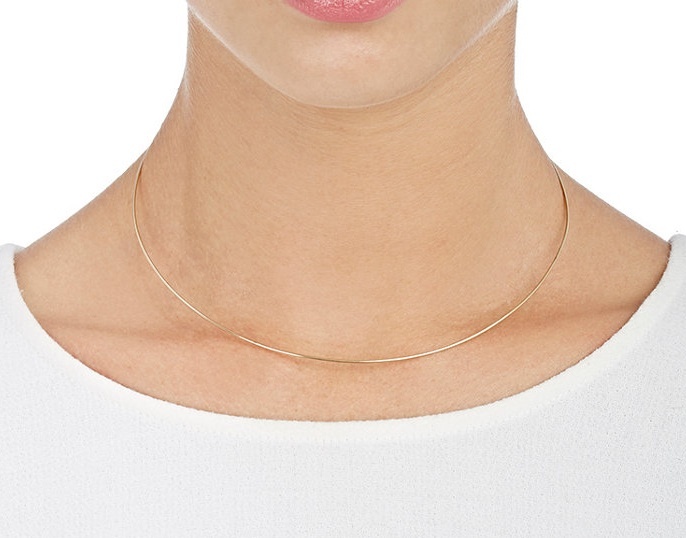 The collar length is without hook closure. 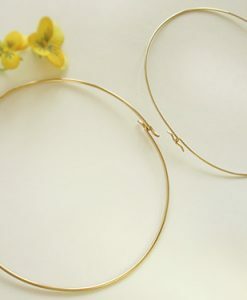 For example, the choker 16″ size is actual circumference length 16″ . To help you find the collar right size in inches, use a cloth measuring tape, or a piece of string/shoe lace, which you can mark off, and then measure while flat. 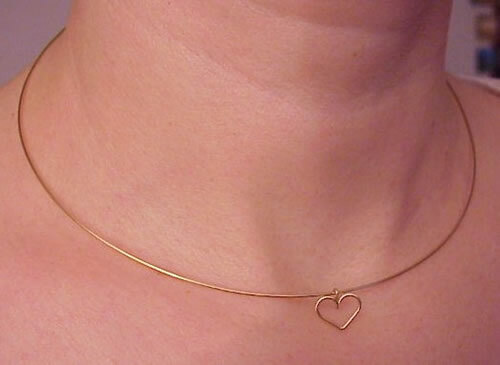 I suggest you measure loosely around your neck right around the soft area just above the collarbone. If you like it closely fitted, this is the size you want, you can add an inch for a looser fit. It is all your preference. Use a cloth measuring tape, or a piece of string/shoe lace, which you can mark off, and then measure while flat.